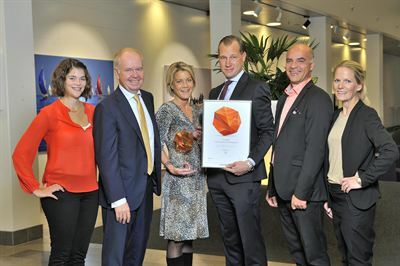 For the second year in a row, ÅF was named as Sweden’s second most attractive employer by engineering professionals. The survey on Sweden's most attractive employer among engineering professionals was conducted by Universum. This year, 3694 young engineers, young professionals who have worked one to eight years after graduation, participated in the survey. As in prior years, Google was at the top of the list. You can read more about the survey on Universum’s website. “We are constantly looking ahead and continuously working hard to strengthen ÅF as an employer; wherefore an award like this is very pleasing,” says Greta Mathiesen, project manager for Employer Branding.